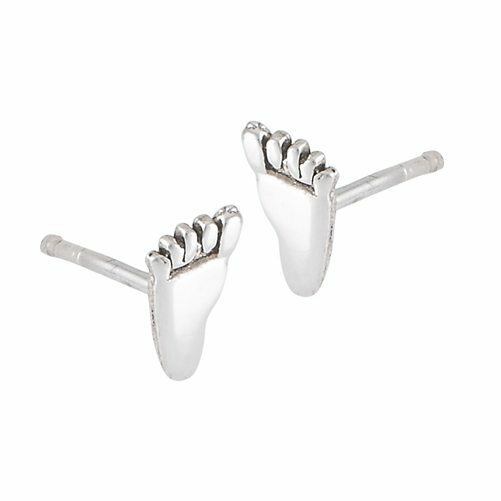 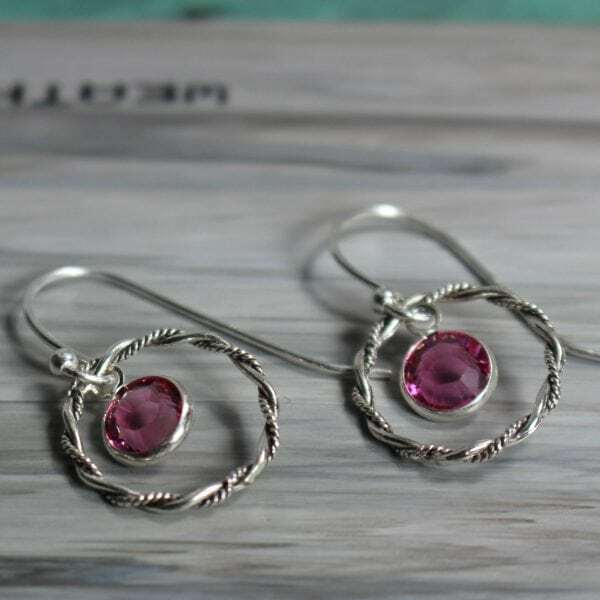 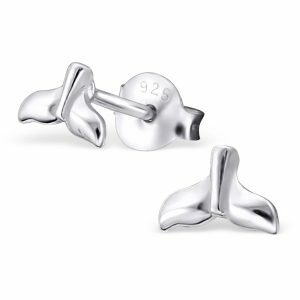 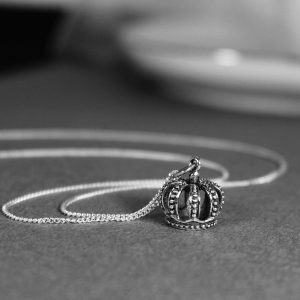 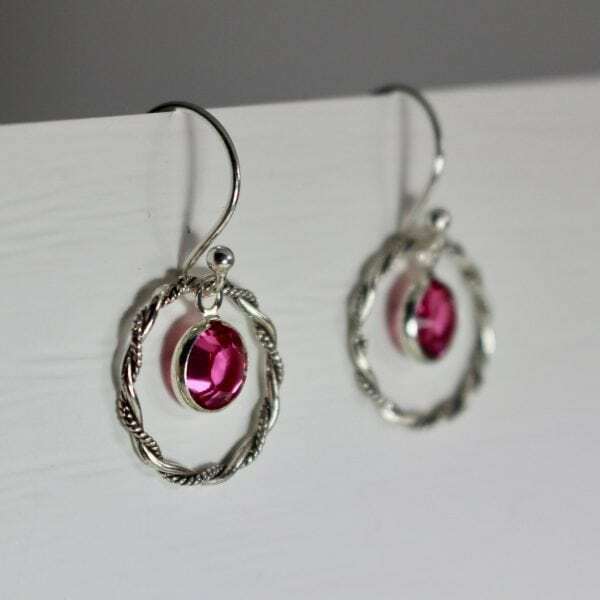 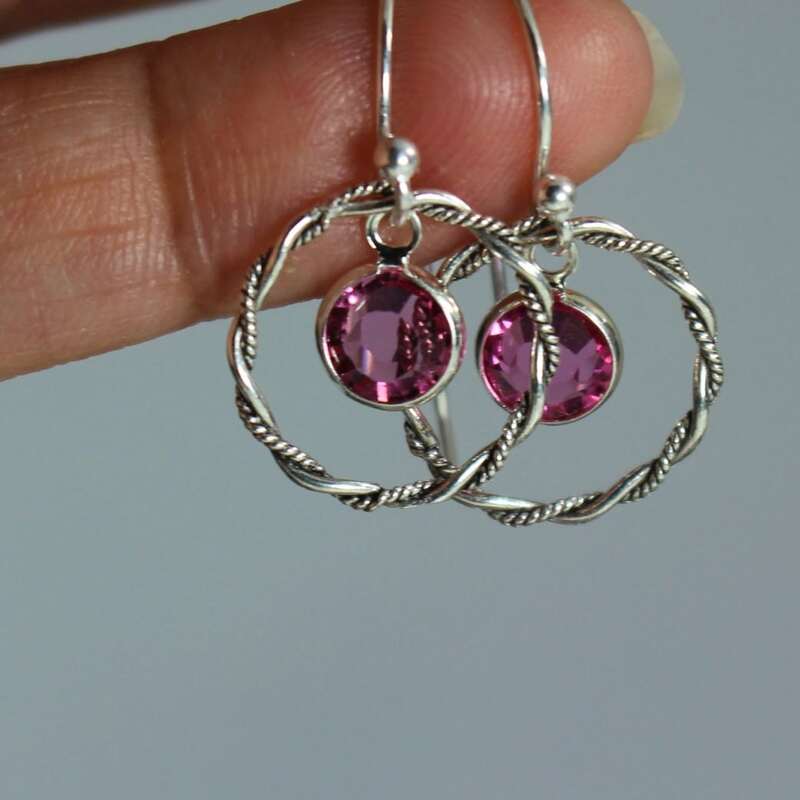 Beautiful sterling silver twisted rope design circle charms are transformed into lovely dangle earrings. 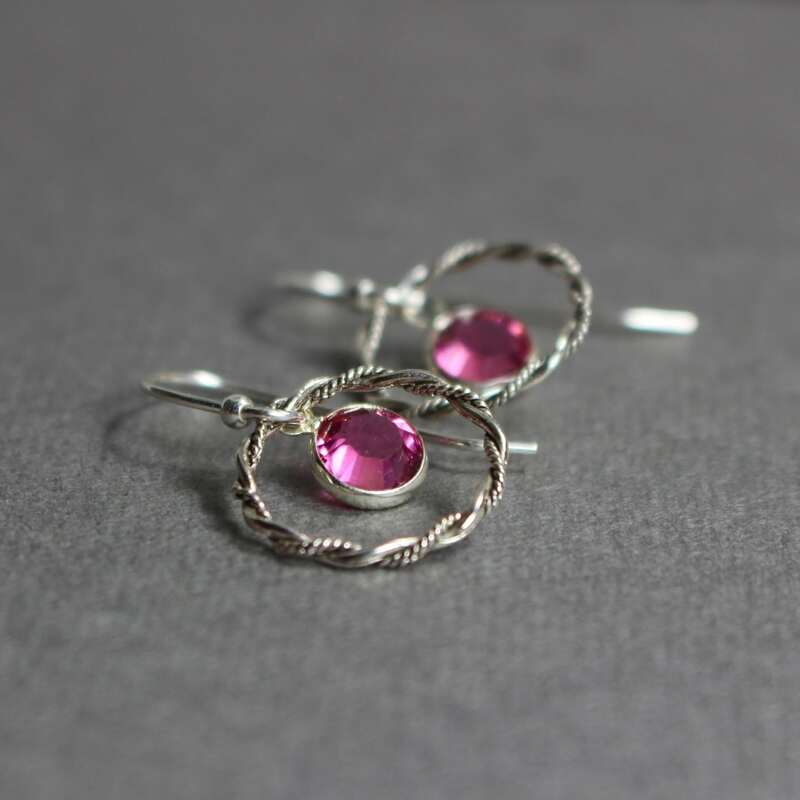 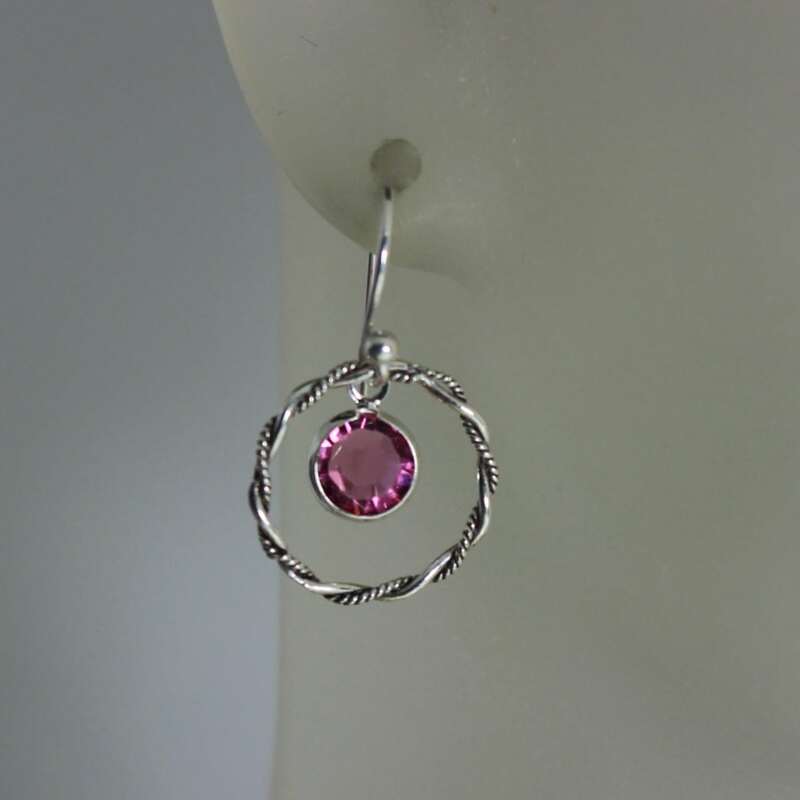 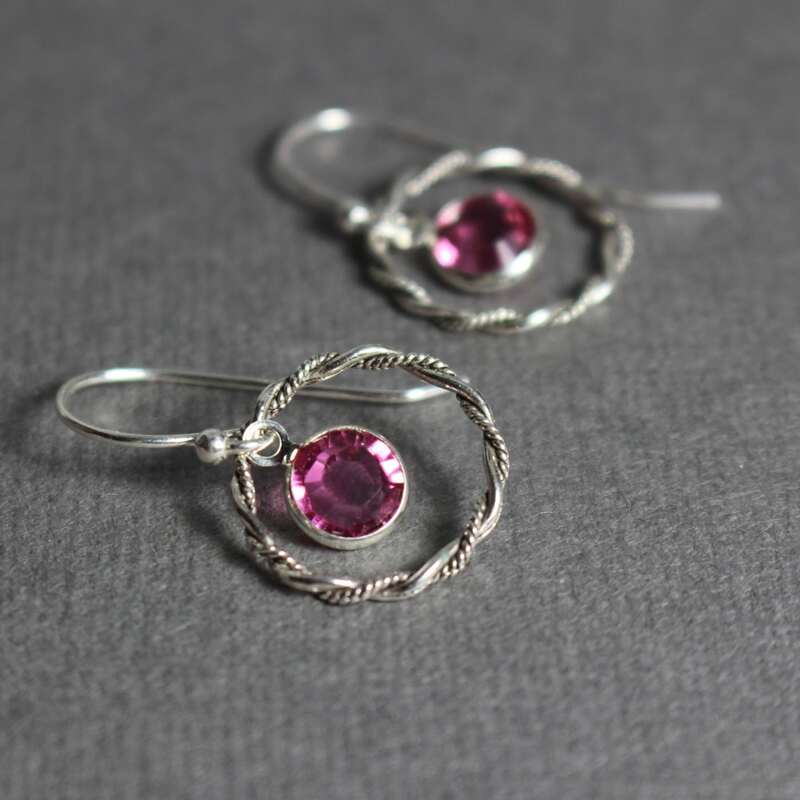 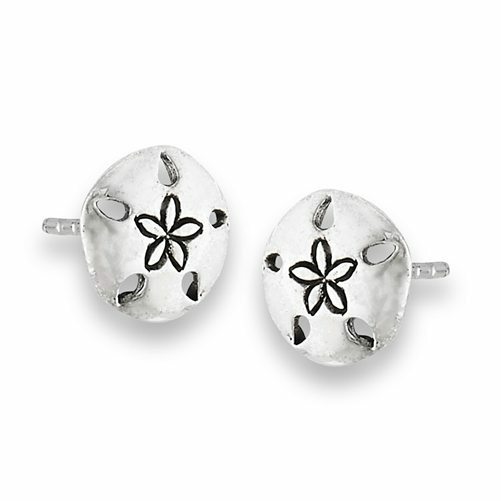 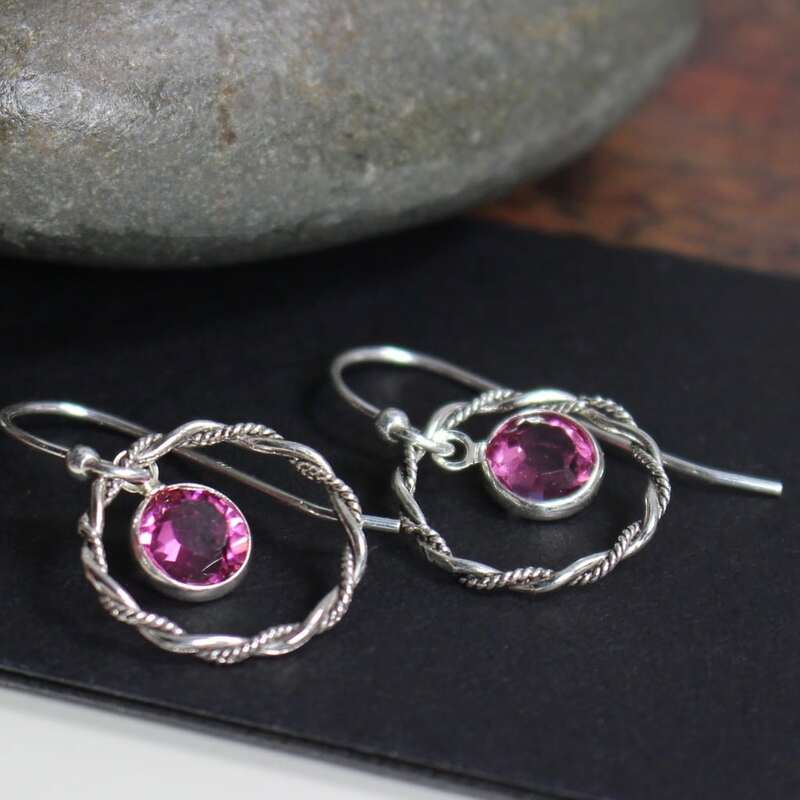 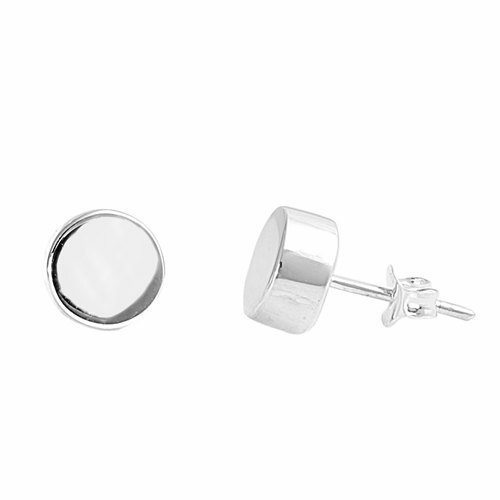 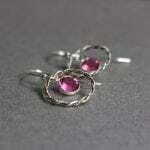 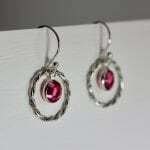 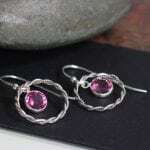 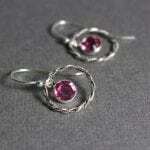 These circle earrings are shown with pink crystals (October Birthstone). 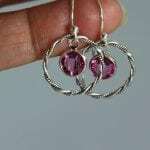 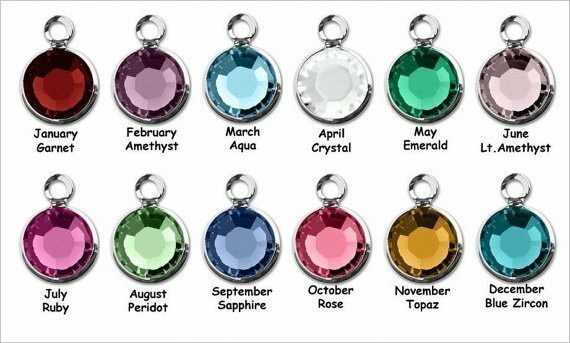 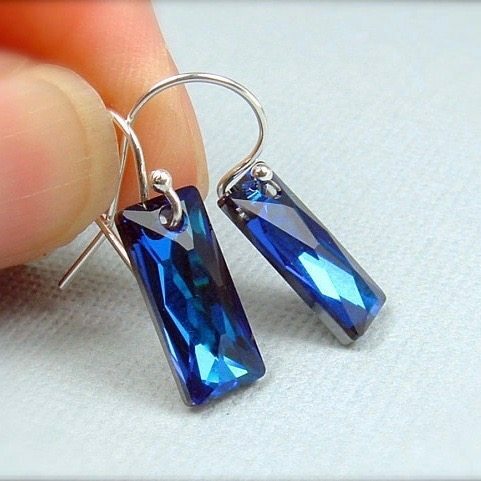 I can make these earrings with your choice of crystal color. 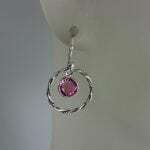 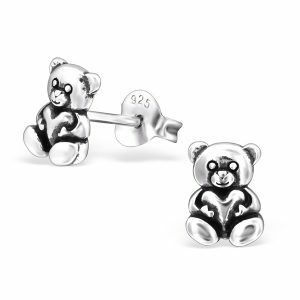 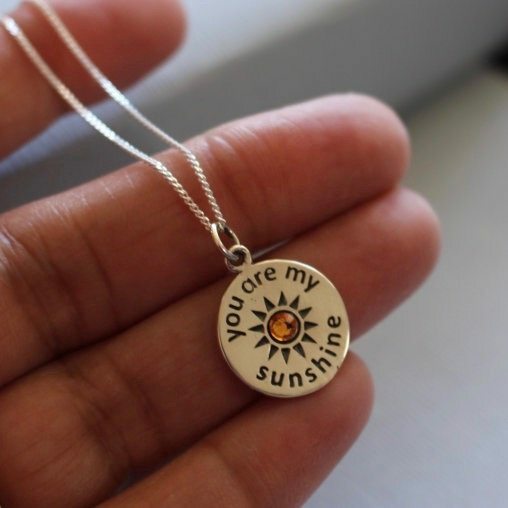 All my jewelry comes beautifully packed via Canada Post in a secured mailer.